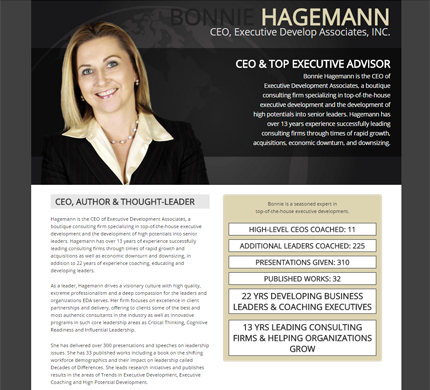 Bonnie Hagemann wanted a series of three one page “microsites” to augment her personal brand and her leadership of Executive Development Associates as CEO. They hired DeLime Website Services build the 3 sites using WordPress and install a custom mobile responsive Genesis theme. One of these is presented here.